Angular position sensors, linear sensors, and tilt angle sensors all have a wide range of applications in the automotive industry. These sensors can be used to detect steering wheel positioning, pedal position sensing, headlight position control, and also has extensive use in robotics. These are precision sensors that convert mechanical displacement such as rotational angle, tilt angle, linear displacement, and pressure variance into electrical signals. Midori potentiometers have very low current consumption and are available with a contact element or without. 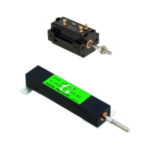 With Hall effect type of contactless potentiometers, there is no electrical noise in the output and are ideal for a harsh environment where there is vibration or dither because of low amplitude. Conductive plastic and Wire-wound Multi-Turn potentiometers have virtually infinite resolution. Hall-IC type contactless and with Conductive plastic contact type Linear Potentiometers. There is no electrical noise in the output, low torque, low friction, and superior lifetime. 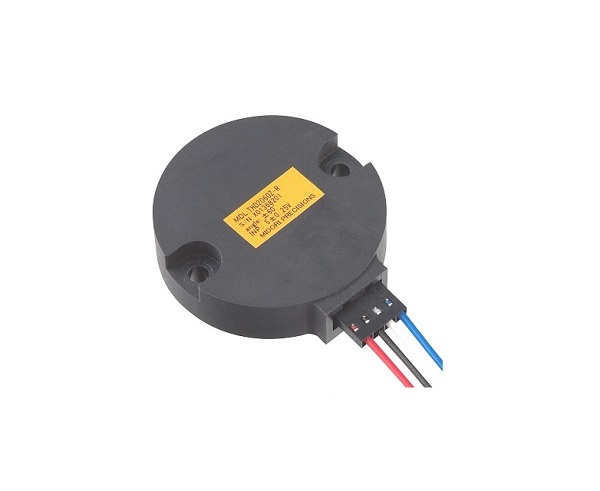 Conductive plastic Liner Potentiometer has a practically infinite measurement resolution with even higher precision compared to contactless type. Available in very small measurement increments and lengths. Single axis and dual axis (X and Y axis) analog output Inclinometers and Tilt Sensors can use pendulum mechanism or a buoy-flat mechanism. These are sealed with a damper oil for optimum vibration control and response time and can be used for very narrow tilt angle measurement. Midori also offers MEMS sensor type devices which can be reconfigured or programmed to your specific Electrical Angle, Tilt Angle, Index Point, and Response Time. The MEMS devices also have superior temperature characteristics and high resistance to vibration thus making them ideal for harsh environments. 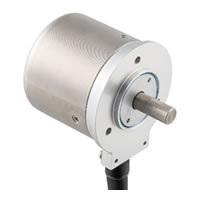 Absolute Magnetic Rotary Encoders feature the highest accuracy and resolution up to 16 bit. The CE36M is designed with excellent repeatability, ±1LSB, position data update cycles of, 6.1kHz/12kHz/24kHz and a mechanical response time of 10,000rpm MIN. Additionally, the output can be formatted for serial in an RS-422 Format, ASI, and SSI. Since 1988 Midori America Corporation has been providing the American markets with the best in sensors technology. Whether you have a need for an angle sensor, linear sensor, or tilt angle sensor, the products provided by Midori America Corporation are designed to not only meet the exacting industry standards that so many business sectors expect, but are also designed to be as durable, functional, and precise as possible. Midori America Corporation is a wholly owned subsidiary of Midori Precisions Co., Ltd, a Japanese company founded in 1952. Midori Precisions Co., Ltd. originally developed and manufactured electromechanical transducers to be used in the myriad electronic businesses that dotted the Japanese business landscape. 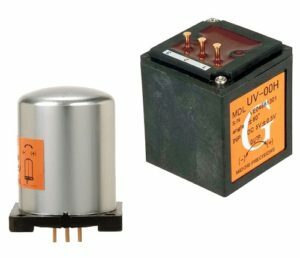 These early products were created by using the same wire-wound potentiometer technology that was to be offered in the precisions instrumentation market. By the early 70s, Midori Precisions Co., Ltd. had developed technology that was able to provide its product line with precision conductive plastic instruments. The 1980s saw even more success for Midori as they pioneered a new form of technology, the contactless magneto-resistive potentiometer. Based upon this technology, Midori was able to offer a sensing element offering with improved function and cost efficiency to industries across the world. Midori America Corporation, as a sales and factory representative of Midori Precisions Co., Ltd., is dedicated to providing the American market with the best in position sensors including plastic linear and rotary potentiometers and contactless linear and rotary potentiometers. All products are made to the exacting standards that made Midori Precisions Co., Ltd. a respected name in the Japanese industrial sector and you can rest assured that all of your needs will be met by these products. If you have any questions about Midori and their products, don’t hesitate to contact your professional manufacturing and automation control experts at Dynamic Measurement & Control Solutions. It’s our highest priority to save you valuable time and money by helping you understand the latest advancements in the electrical components industry and how to apply them to your manufacturing company.